This Fall, Michael Garin begins his third year as house pianist at the Roxy Hotel in Tribeca. The Drama Desk Award winner, whose résumé includes Elaine’s, The Monkey Bar, The Rainbow Room, and The VIP Room at Limelight, has created a beguiling musical experience at the Roxy, blurring the distinction between pianist and D.J. In a departure from tradition, Michael has brought together a wild and eclectic musical mélange which has attracted a new generation of piano aficionados. Blending such diverse musical worlds as Shaggy, Om Kalthum, Rossini, Jobim, Zappa, and Raymond Scott, Michael holds forth with a goofy, stylish, and very smart stream of musical consciousness that brings young and old together for a post-work and -school experience. From encouraging small children to play piano along with him, to his gently bizarre and self-deprecating additions (tap dancing while sitting on the piano bench; announcing that he’ll be “in his office” accepting requests), the lounge at the Roxy has become a friendly, welcoming, yet sophisticated musical destination. AND there’s no cover or minimum. 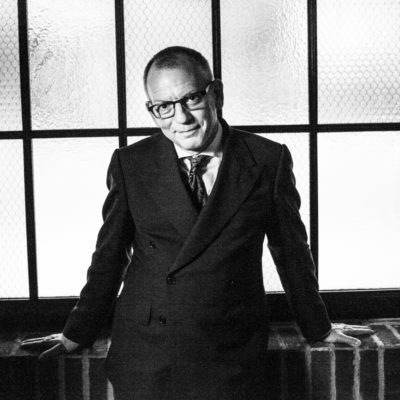 Michael Garin has been a mainstay in New York City nightlife for decades, and has never failed to entertain and create a fresh new style tailored to venue and circumstance. From hosting the midnight burlesque shows in the mid-90s that launched the burlesque revival (and landed him in L’Uomo Vogue in an Ellen von Unwerth photo spread), to co-creating and co-starring in Song of Singapore, the groundbreaking environmental musical (for which he received the aforementioned Drama Desk Award), to acting stints with Spike Lee (including the oddest of jobs, screaming the N word in a voice-over for Do The Right Thing). And now there is a cult following on Facebook for Michael’s Ogden Nash-style daily promotional poems for his gigs at the Roxy and elsewhere.